Simon says stop sending us gifts. By moving to California from Chicago, married couple Simon (Jason Bateman), and Robyn (Rebecca Hall) are ready to start a new life. Simon has secured a great promotion working for a billionaire company, and the hope is that with less stress, he and Robyn can begin to build a family. By way of a random encounter, his old life isn’t quite ready to give way to his new one. 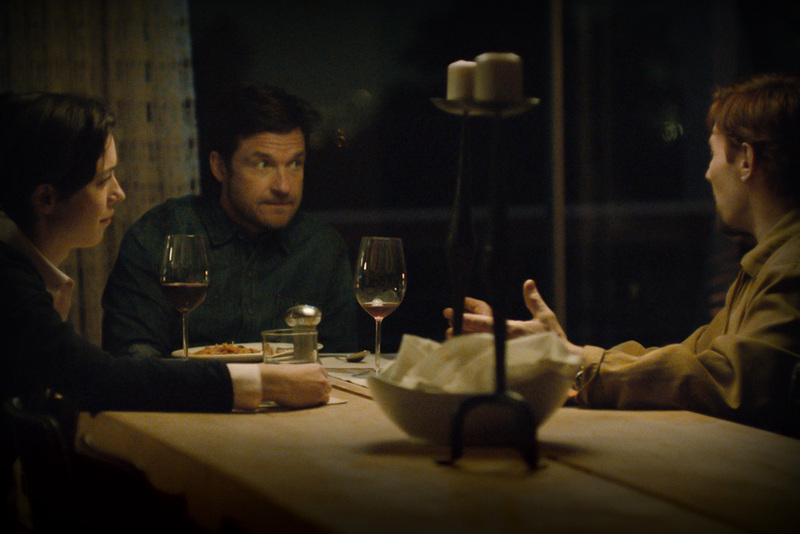 Old classmate Gordon (Joel Edgerton), reintroduces himself to Simon through dinners with he and his wife, and simple gifts like a bottle of wine and fish food. What Robyn sees as sweet, Simon sees as annoying and uncomfortable. Is this just a well-intentioned welcome-to-the-neighborhood gesture? Or might this be only a piece of an elaborate vengeance plan? Yours truly loves crazy people thrillers, from the better made ones like Play Misty for Me and Fatal Attraction, to even the more cheesy ones like Swimfan. Let’s not talk about The Boy Next Door. Point is, this genre, though typically predictable from beginning to end, is one that I am frequently entertained with. Believing The Gift to be in line with these films all in the same category, I knew I was going to enjoy this, at least somewhat. What was unforeseen, however, was me loving just about every second of it. For the first few minutes, it would be easy to think of The Gift as nothing different than those other aforementioned movies. There is a house in relative seclusion, far enough from civilization that tons of things could happen before law enforcement shows up. A couple so perfect for each other with beautiful lives. And, of course, an individual who seems nice, but just odd enough to know their equilibrium is off. 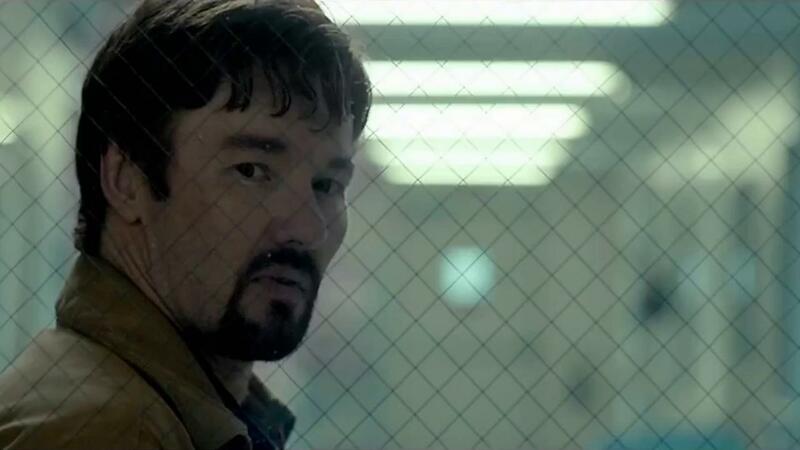 That is where the similarities end with actor and first time feature director Joel Edgerton’s movie. Without hopefully revealing anything, Edgerton decides, for all intents and purposes, to do a 180 from what is normally seen. Instead of relying on the same template, he does away with it come a certain point in the runtime. It may even be a welcome surprise to see that Edgerton’s character is not the “everywhere, everytime” character the trailers (kudos to the studios for keeping things under wraps) paint him to be. As stated previously, yours truly loves these psycho thrillers. But I realize that often times, there is either a lame explanation, or no plausible reason as to why the nutcase is like so. 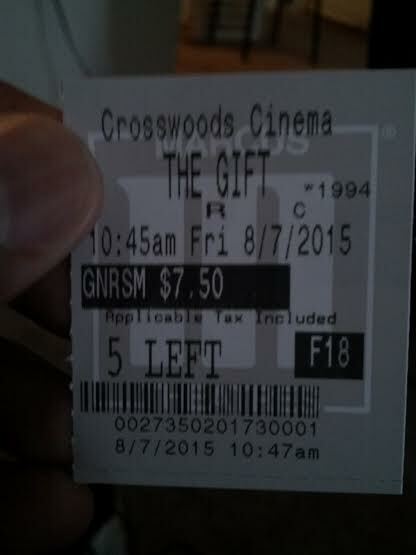 In The Gift, however, all of the three main characters are strongly written, with very believable motivations for their acts. And, the great thing about these characters, and the story itself, is that it doesn’t all come at once, avoiding the contrivance found in some thrillers. Edgerton puts in pieces of dialogue here and there and there with accompanying shots that end up serving a purpose down the line. Perhaps, the only thing that ends up feeling contrived is the couple moving to California, as it could be argued that none of this would have happen if they remained in Chicago. But there would be no movie then, would there? The Gift is very much a three-person film. Seeing Jason Bateman in something that is not a comedy may be odd to some, but it shouldn’t be. Even in something middling such as This is Where I Leave You, the man has proven to have dramatic talent. Rest assured, he gets a few lines here as Simon to be funny in his dry way, but this not a laughing role. Bateman succeeds in bringing focused intensity and unease to a character who, like Edgerton’s, immediately isn’t what he seems. His performance is a nice contrast to Edgerton’s “Gordo the Weirdo,” who is always in control and never really blows up even once, making his intensity not as “in-your face” as Bateman’s but just as effective. Rebecca Hall may look to be no more than the damsel in distress, but the fleshing out of her character ends up giving the story a very emotional core in between two mysterious characters embroiled in a long-standing feud. In many respects, she is the true star of the film. Once the traditional wrapping paper on The Gift’s setup is unraveled, what is left is a methodical, ambiguous, and technically sound film. The title is very fitting, just not in the obvious way expected. Photo credits go to businessinsider.com, and dailymotion.com. I can’t wait for this. Seeing it in about half an hour! Great write up dude. Thanks bro! Eager to see your thoughts. Did my best to try and refrain from anything that could be considered spoiler-ish. Have fun! It seems like this one is getting some really good word-of-mouth. Honestly I had dismissed it early on taking it was just another creepy guy terrorizing a family. But it definitely sounds like more than that. I do really like the cast. Highly recommend giving a watch Keith. As you probably read, I too thought this would be not too much different from creepy person terrorizes a family/individual. But it is, the genre staples are completely flipped and/or removed. I loved this one unabashedly Peggy! Sorry you didn’t like it as much. I haven’t seen as many of the smaller thrillers I would have liked to, but I liked this as much as last years Gone Girl. I actually found it fairly unpredictable aside from a moment in the first third that I knew was gonna resurface again near the end. But that is the thing, Edgerton laid all of the mystery puzzle pieces there and they all fit really well.